Why am I a bodybuilder? 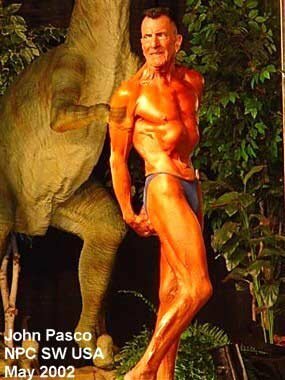 I came late into bodybuilding, at 72 years of age, when I found myself to look old, think old and act old. I found that bodybuilding not only improved my physique, but it also gave me a healthy perspective on people and the world. I found that it rejuvenated me, made me feel some 40 years younger than my years. It also enabled me to deal with my cancer (now in remission) so that it is no force in my life. I bodybuild and compete now because it keeps me rejuvenated. 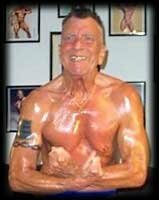 I also bodybuild and compete so that my accomplishments may motivate others of advancing years or some poor medical condition to take charge of the lives and banish fear of years and illness. Education: Public schools, Newington, CT; Penn State University BA English ?52; General Theological Seminary, STM ?55. Military Service: Army Airborne, Ranger, Special Forces, Cryptographer. Civilian Occupation: Priest, Episcopal Church, retired. Competing BodyBuilder. Favorite Exercises: Legs because it is the greatest challenge and I love challenges. Favorite Supplements: L-Glutamine, L-Arginine, HMB, Creatine, Ephedrine. I also take 1cc Vitamin B complex by injection bi-weekly. Chest: 42" (now) Weight: Previous contests, 140-150 lbs. Now 168. Going for 175 next contest! Next Contest: 2003 NPC Masters Nationals. Note: While I am in my 70?s, when there are not any others of that age, I compete in the most senior class there which can be as young as 40.